With Mathew, you’ll get an edge because of his experience in all areas of the market. 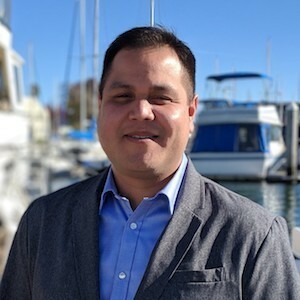 Mathew has been a lifelong resident of the Bay Area and has been involved in the real estate industry here for over a decade. He has the experience to navigate the market at all levels. Mathew represents buyers, sellers, investors, and banks in both residential and commercial markets. He specializes in applying his market knowledge and expertise to help clients buy and sell single-family, multi-family, condo, and commercial properties. Mathew takes a great deal of pride in consistently exceeding the investment goals of his clients while providing them with a high level of service that includes integrity, energy, hard work, and creativity in every detail of your real estate transaction. Residential Single Family – His residential single family services connect buyers with sellers every day, and he does it with professionalism and a total dedication to his clients. This property type is the majority of his market transactions, but by far not the only one in which he has expertise. Condominiums – While condominiums are residential, they’re a very different market focus, and Mathew is an expert in evaluating condos and helping buyers and sellers to cope with the special financing and homeowner concerns for this property type. Multifamily – Investors are great clients for him. Multi-family properties are a very unique market. The detailed return on investment and valuation calculations investors need to evaluate properties for rental are second nature to him. Commercial – Whether it’s a shopping mall, a small office building or a restaurant space, Mathew is your commercial property specialist. Vacant Land – Land is a very special property class. It’s relatively easy to show a gourmet cook a wonderful commercial kitchen in a home and see their eyes light up. It’s more of a challenge to help a buyer or seller to realize the potential in a piece of land. He is the best at it in the Bay Area real estate market.